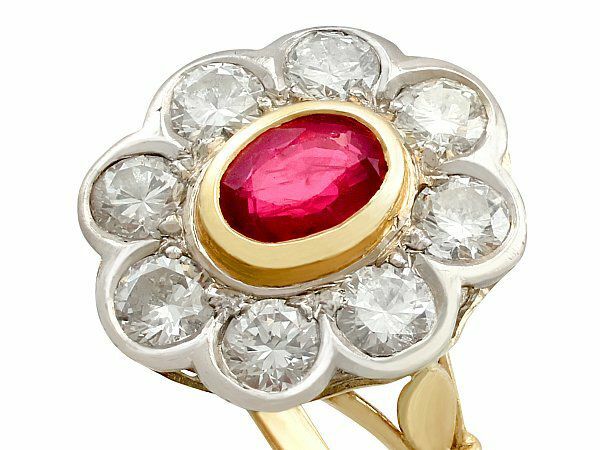 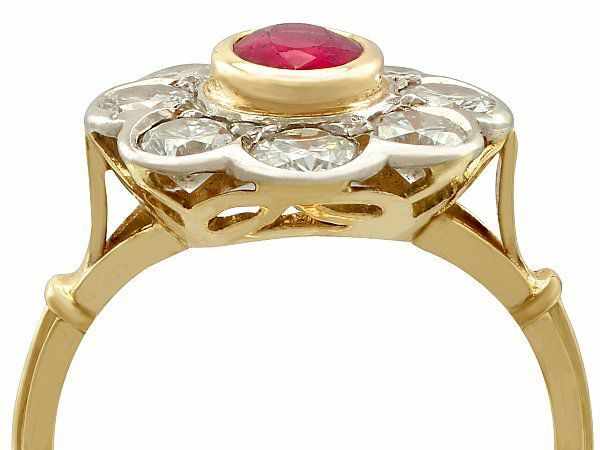 This fine French vintage ruby and diamond cluster ring been crafted in 18 ct yellow gold. 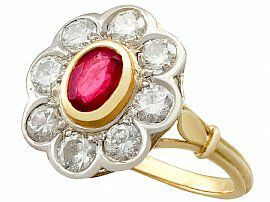 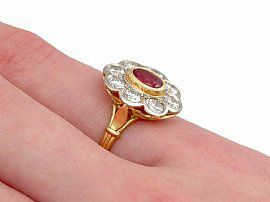 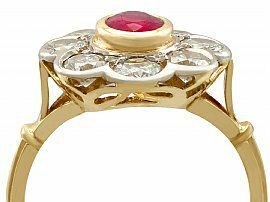 The feature oval cut ruby coloured doublet* is collet set in subtle relief in 18 ct yellow gold. 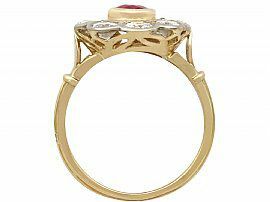 The eight supporting transitional modern brilliant round cut diamonds, totalling 2.05 carats which encircle the doublet are collet set to a scalloped 18 ct white gold frame. 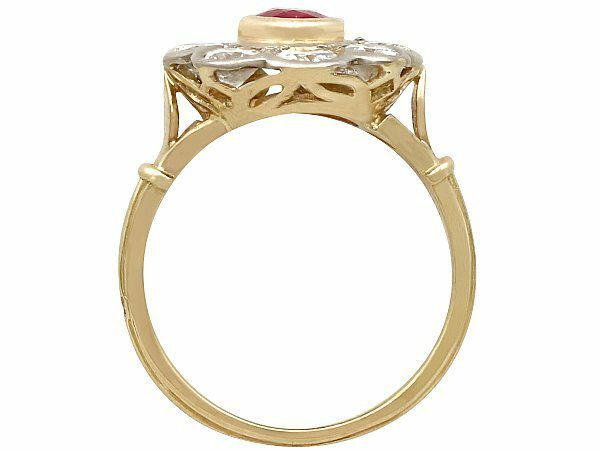 The underside of the shaped pierced decorated yellow gold setting integrates with the flared and shaped, pierced decorated shoulders which are accented with a rounded collar at the junction with the ribbed hallmarked shank. The French gold guarantee mark (eagle's head hallmark) is struck clearly to the exterior of the ring shank. 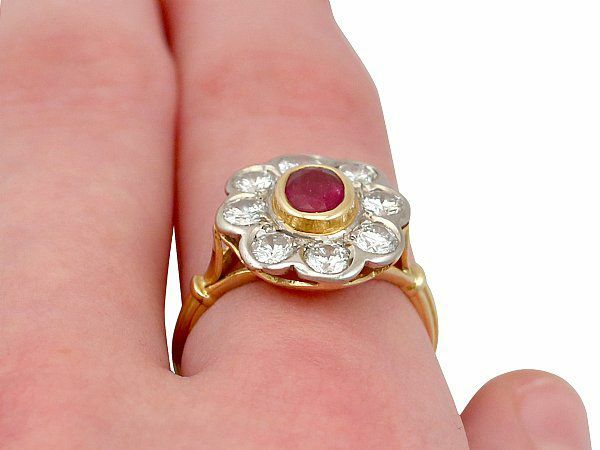 This vintage cluster ring is supplied with an independent diamond grading report card. Note* A doublet is a gem composed in two sections. It is sometimes used to imitate other, more expensive gems. 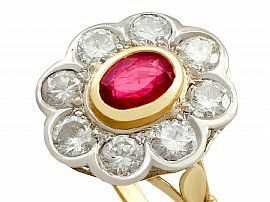 This 1950's cluster ring is fine quality, set with high colour graded diamonds. 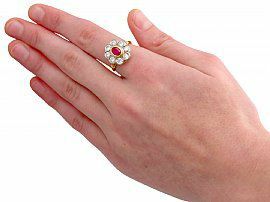 The ring is a good gauge of gold and is in in excellent condition, with a clear hallmark. Reflections in photographs may detract from the true representation of this impressive example of European jewellery /estate jewelry. 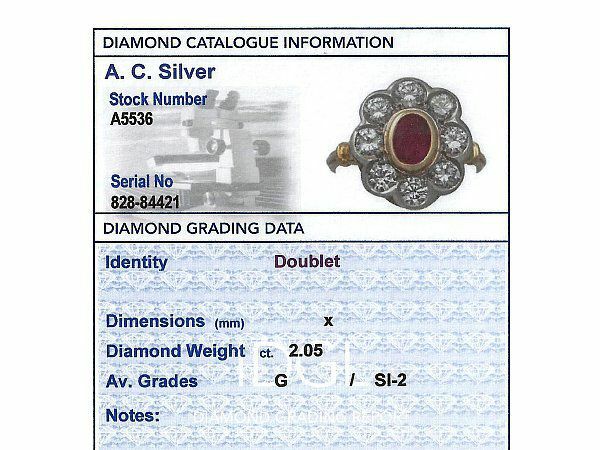 Width across cluster 1.6cm 0.6"